One thing this week that is standing out during my studies is that perseverance is our demonstration of the hope that we have in God. That hope begets ultimate Joy and causes us to live in the fullness of the Spirit. 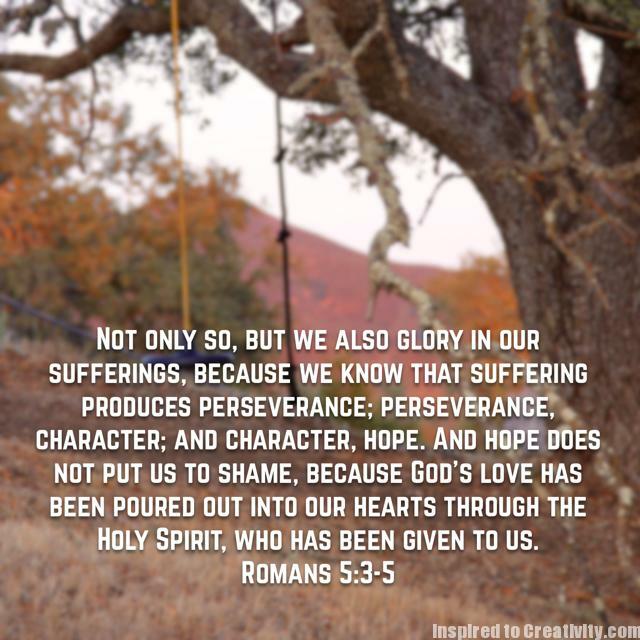 Please pray for me that I would walk in Joy and live it out by persevering in hope.